Available in the same sizes as the DL, but with fewer ball bearings, the Baitrunner ST-FB is the entry level small Baitrunner. Varispeed line lay, Super Stopper II plus XT-7 body and rotor are among the many advanced design features included in the ST’s construction. The 2500 size is perfect for feeder and bomb fishing on small waters when fishing for carp or other hard fighting fish, whilst the 4000 size offers more versatility and power making it suitable for all general, pleasure and specialist fishing. Baitrunner was a breakthrough in big fish angling a feature that has proved so beneficial that it has become a standard on big fish reels. Baitrunner is a lever located on the rear of the reel that allows the reel to be set so that line is released in controlled freespool. Good quality line lay is the most important feature for precise, long and accurate casting. Shimano’s revolutionary ‘Varispeed’ System consists of two specially designed gears. One is oval and the other a remarkable square shape! Only a special computer program developed by Shimano has been able to make these to shapes fit together perfectly – the result is perfect parallel line lay and improved fishing precision. XT7 is the original Shimano composite reel material. 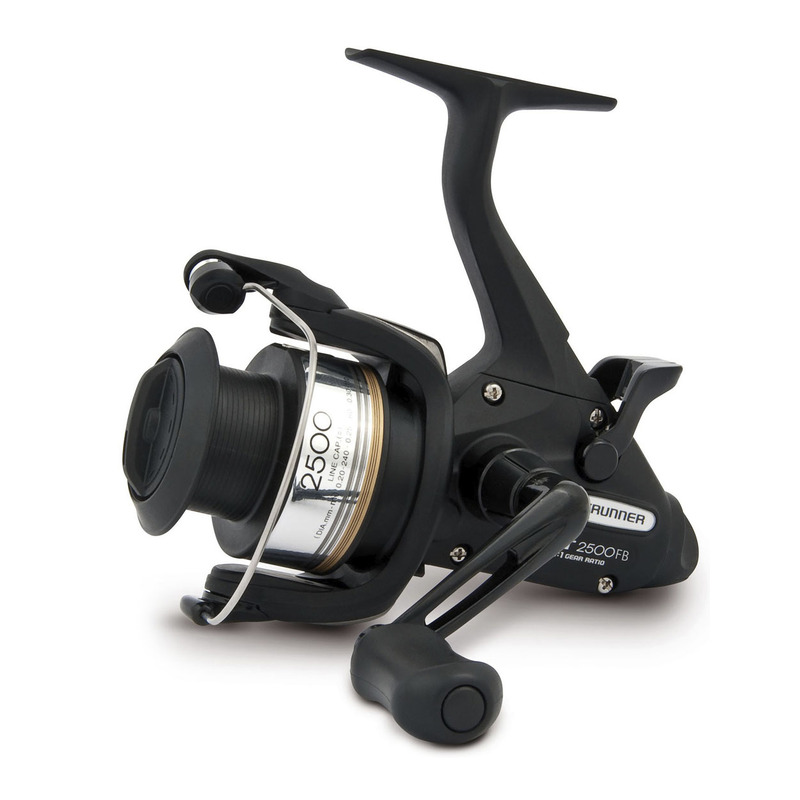 Used on midpriced and budget reels and spools XT7 is reliable, robust and lightweight. Super Stopper II eliminates backward movement and free play in the handle when the reel is set in antireverse. DynaBalance reduces wobble during the retrieve by counter balancing the rotor to enhance sensitivity and smoothness. By using computer balancing Shimano are able to redistribute the rotor weight to create eliminate vibrations. The special grooved design of the Shimano Power Roller significantly reduces line twist and is a big advantage when using thin mono and braid.